Let me just start this post by saying that no part of this 13-month journey has been easy. There is no magic formula or secret that makes you want to stay away from donuts, cookies, fries, and potato chips. Because if there were? We'd all already weigh 110 pounds and be walking around in bikinis in the dead of winter struttin' our hot stuff. Every. Single. Day., I fight the cravings. I wake up, and I want to run and get a big diet coke and a sugar cookie. I want to eat In-N-Out burgers. I salivate at the thought of a Reese's peanut butter cup. I dream about the crunchy Hostess coconut donuts they sell at the gas station (that are 460 awful, delicious calories for all six of them). It doesn't go away - at least for me, it hasn't. There are moments that I'm stronger than others, and I've caved more times than I care to admit. That being said, I have had success. So I will share with you what has worked for me. As I said yesterday, I'm working with a local company here who has a nutritionist monitoring my food diaries. The accountability piece of that has been HUGE. She looks at what I enter (or don't enter) every day, and weighs/measures me once a month. 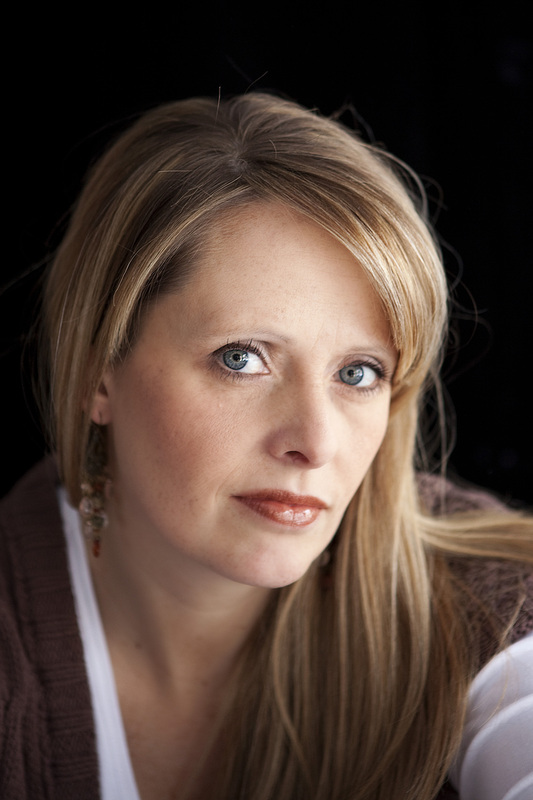 She offers suggestions, encouragement, and course correction. It's been fantastic. The food piece is the hard part because I have to go that alone. I have to monitor and police myself, make the choices that enable me to actually pull off a loss. My 42-year-old body is different than the one I had 10 or 15 years ago. I don't lose weight like I once did. I have to fiercely fight for every pound that I lose. I used to be able to give myself a cheat day(!) once a week and still easily lose 2 pounds or more in a week. I can't do that now. I can't cheat if I want to see a loss. It's just the sad reality. I allow myself something indulgent once or twice a month. I'm eating between 1250 and 1350 calories every day. I strive to hit at least 100 grams of protein. I also shoot to have a good source of carb, protein, and fat at every meal or snack. I eat three meals a day and one or two snacks. The only real exercise I get is walking my dogs 3-4 miles every day. 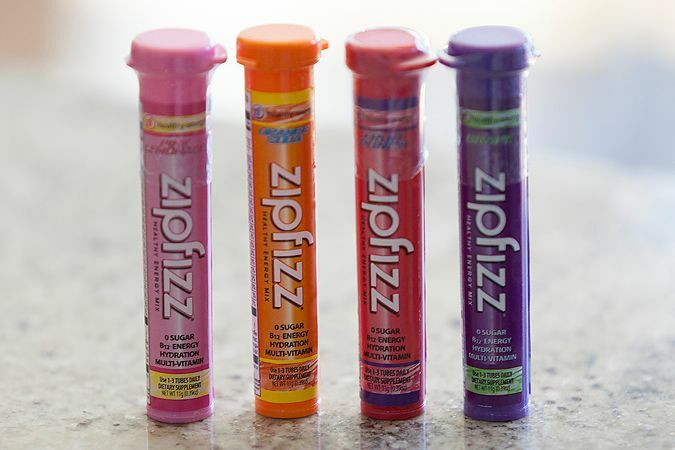 I start my day out with Zipfizz. It's an energy drink developed for diabetics, so it's no sugar, low carb, high vitamin content stuff. I mix one Zipfizz with 24-30 ounces of ice water and have two of them in the morning after my walk. There is a small amount of caffeine, which I honestly think is actually a great appetite suppressant and has really helped me not feel hungry. I like the flavors (except grape, gag!) and there is a huge vitamin B-12 boost that makes me feel great. 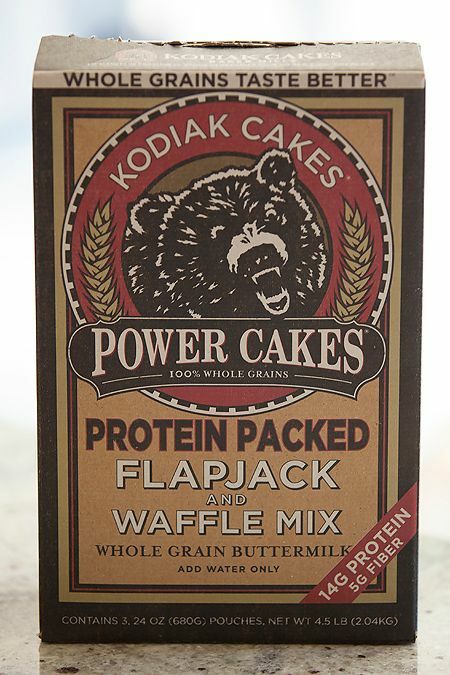 My favorite breakfast is a waffle made from this protein pancake mix. It tastes so good! It's got 14 grams of protein and is only 190 calories for 1/2 cup of the dry mix (which you just add water to). One-half cup makes two waffles on my small waffle iron, and I eat them both every morning. I love it. It feels like a treat. I buy the mix at Costco. 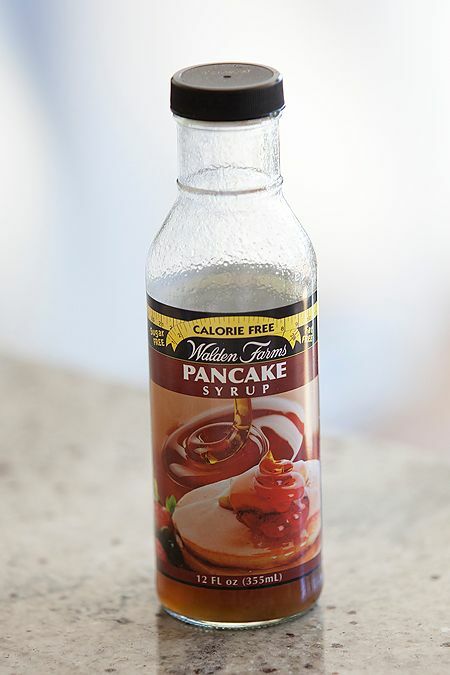 I top the waffle with a little bit of Walden Farms calorie-free syrup. The concept of something actually tasting delicious and being calorie-free actually frightens me a little bit. I assume the reason it tastes good is because of chemicals that will probably cause cancer and/or kill me. So I use it rather sparingly, even though there are no calories to feel guilty for. It really does taste good. I order this from Amazon, though you can probably buy from the company directly online. I've never seen it in stores. 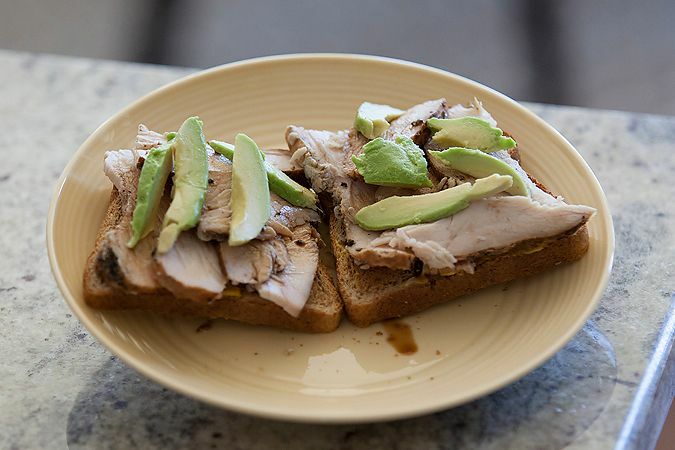 Lunch is almost always a turkey sandwich on 21-grain bread topped with 1/4 of an avocado and drizzled with balsamic vinegar. It's my go-to lunch and I'm still not tired of it. The turkey I buy at a local BBQ place - it's simply smoked turkey breast. It's real meat, not processed (I'm talking to you, Oscar Mayer! ), and tastes delicious. If you don't have a Rudy's (my local BBQ joint) find one of your own BBQ places nearby. I am sure you could get smoked turkey breast pretty much anywhere. I love that it's not processed lunch meat and it tastes unbelievably good. Afternoon snacks vary. 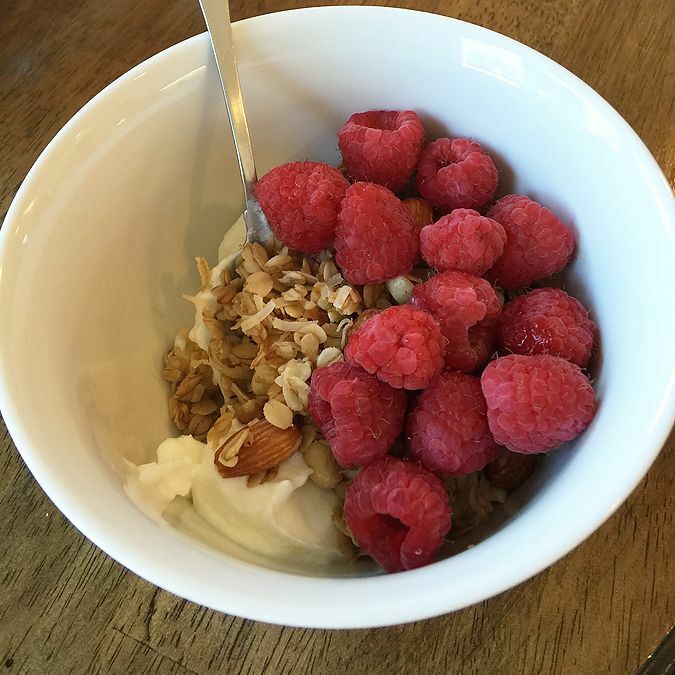 My favorite is Greek yogurt with raspberries and 1/4 cup of my homemade granola (recipe here). I also like the Special K protein meal bars if I'm pressed for time or running kids all around. Great on-the-go-snack. I chug water all day long, too. But I find it most critical in the afternoon when I'm more likely to go on a search through the pantry for sugary temptation. 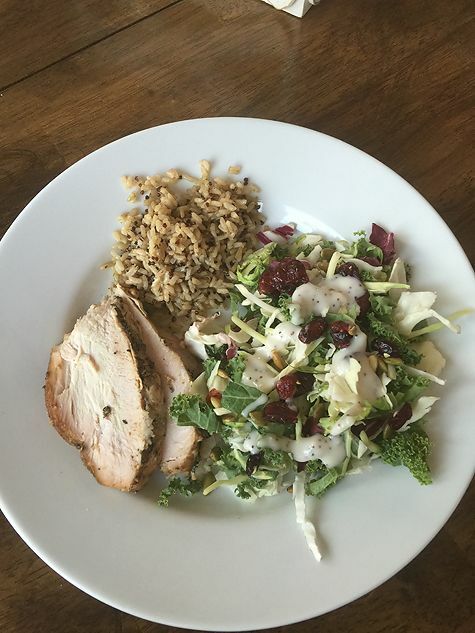 Dinner varies - but is almost always some version of lean protein, green vegetables, and high fiber carb. Usually chicken breast, turkey, or pork tenderloin. I also will add in flat iron steak once in a while, too. Lots of sweet potatoes and salads in all their varieties. 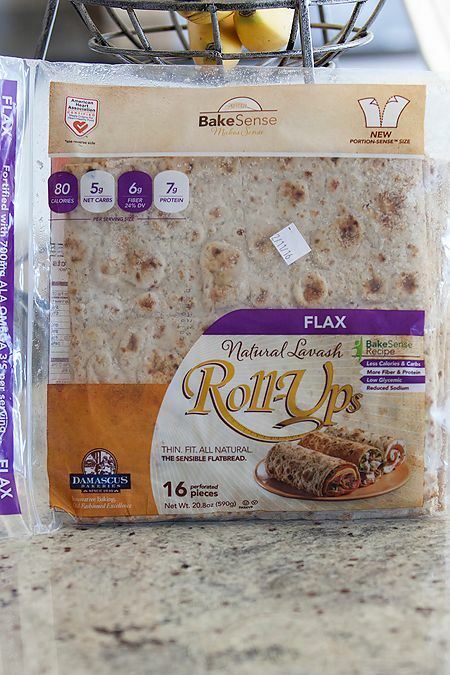 I have found these wraps at Costco to be a super food. I will use them at lunch or dinner, and they taste great. I also have made flat-bread pizzas out of them, as well. Really versatile. And they freeze beautifully. The other thing that I use a lot is the yogurt-based salad dressings. 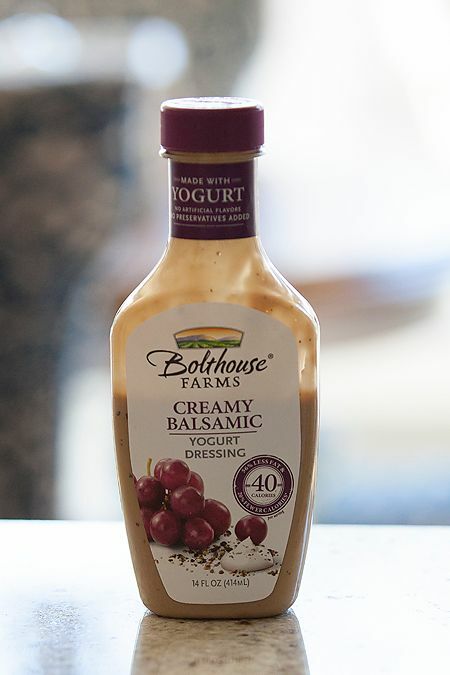 Bolthouse Farms is the only brand I've tried, and I really like them. They are at my local grocery store, and Target. They have a ton of different flavors, and are only 40 calories for 2 tablespoons. They do not taste like the low-fat dressings of olden days. They are really good. The last piece of advice I would give you is to get a good digital scale. You need one with the "tare" feature, which allows you to put your plate on the scale and then zero it out. 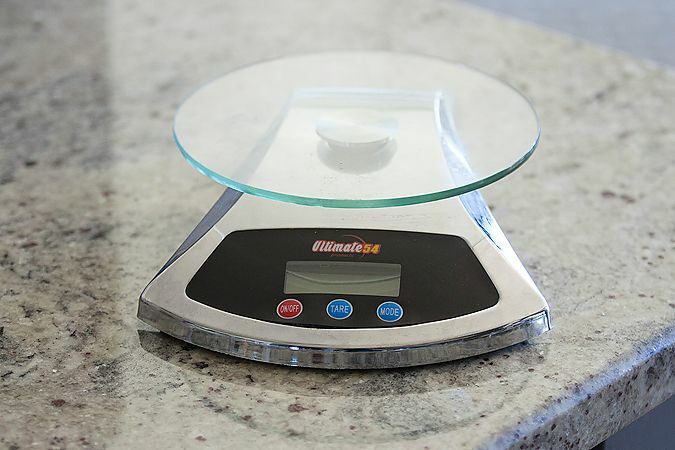 That way, you can add your food on top of the plate, preventing you from having to clean and wipe down the scale every time you use it. Get one that measures in ounces and grams. I got ours online at Amazon for pretty cheap. I think maybe $20 or $30 max. It gets tedious to religiously measure and weigh everything, but it really makes a difference. You think you can eyeball it, but you're really only adding extra calories if you aren't precise. And why work so effing hard only to not succeed, right? That's about it, my friends. That is what I'm doing and how I've been successful. This fight is the hardest one there is. Our brains are wired to love sugar, and I spent years allowing myself to feed that need. I tried and failed several times, and for whatever reason, this time it worked. It is possible to make healthy choices and still feel happy. Getting over the first few weeks is the worst. Falling off the wagon happens, too. I pretty much took off from Thanksgiving to New Years. But I dusted myself off and got right back up come January. Just do the best you can when you can. Hang in there if you're struggling. Don't give up. Don't give in.